It's day 8 on my sourdough starter. I had that one minor glitch the other day (too cool for the starter, remedied by moving the starter from the counter to the oven with light on), but I'm back on track. From what I understand, a sourdough starter can take up to 10 days to really get going, so I don't feel too bad. This morning, I fed the starter 1/3 cup (40 g) flour, 1/3 cup (80 mL) water. It was bubbly right away, and smelled faintly of beer while stirring. I thought this would be a good day to try the starter out on bread. I'm still keeping the remainder of the starter in the oven with light, for another day, and plan on continuing with the AM and PM feedings. If the loaves of bread I bake today/tomorrow rise thoroughly, I'll consider my starter complete and ready to be kept in the fridge. 4 hours after feeding -- I've just started my first loaf of San Francisco-style sourdough bread with this new starter. 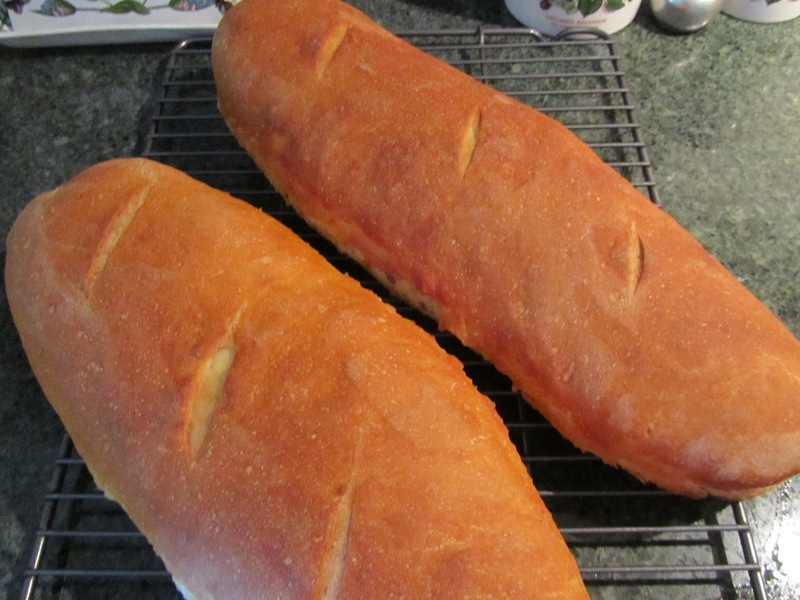 There are two ways to make this style bread. One, the quick way adds some yeast and is a bit "sweeter", and the other, the long-sponge method (more like the pioneers used), uses no additional yeast (cheaper -- I like that), and has more tang. I'm baking with the long-sponge method today. I've mixed my sponge and will allow it to ferment overnight. Tomorrow after lunch, I'll mix in the remaining ingredients, form my loaves, allow to rise, then bake. Here's a photo of the sponge, 5 hours after mixing. It looks good and bubbly, and definitely smells like sourdough. I can hardly wait to tear off a hunk of my San Francisco sourdough bread tomorrow. Day 9 -- baking day! Begin the day before you plan on baking the loaves. Put 1 cup (240 mL) of starter into a large non-metallic bowl. To this, add 2 1/2 to 3 cups (330 g) of flour and 1 1/2 cups (350 mL) warm water. Mix vigorously. Cover and let stand for 14 to 36 hours. The longer it stands, the more tang it develops. Next day -- After 14 to 36 hours, sprinkle over the top of the sponge: 2 teaspoons (10 mL) sugar and 2 teaspoons (10 mL) salt. Mix this into the sponge. Stir in 2 cups (220 g) of flour, one cup at a time. Using hands as needed, mix in an additional 1/2 (55 g) to 1 cup (110 g) of flour. The amount will vary according to how thick/thin your starter was to begin with. With mine, I was able to mix in 3/4 cup (80 g) of flour. Knead the living tweedle out of it (translation -- knead vigorously), for a minimum of 10 minutes (15 is better), until smooth and satiny, and no longer sticks to the floured surface. 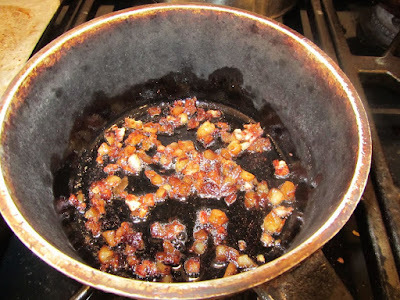 Pour a spoonful of oil into your bowl, and place the dough in, turning it to coat on all sides with the oil. Cover and allow to rise for 45 minutes to 1 hour or so (until not quite doubled). Punch down. Allow to rest, covered for 15 minutes. Form into loaves and place on a greased baking sheet (sprinkled with cornmeal, if desired). 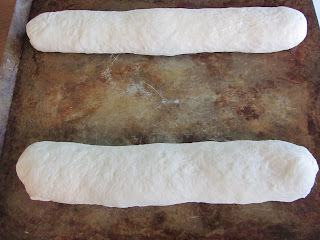 Cover with a towel and allow to rise until double in bulk (1 1/2 - 2 1/2 hours, depending on the warmth of your kitchen). Room temperature should be between 65 and 85 degrees F. Any warmer than 85 F and you risk killing off the sourdough yeast. Preheat oven to 400 degrees F (205 C). Place a shallow metal pan of water on bottom rack in oven. Brush or gently spoon loaves with water. Slash the tops of loaves with a razor blade or sharp knife (this allows the loaf to expand without bursting along the sides). Bake until the crust is a medium to dark brown (about 30-45 minutes for oblongs and 40-55 minutes for one large round -- in my oven I baked 2 oblongs in just over 30 minutes. My rack was a bit high, and I didn't want the tops to burn.) Tap the tops with your fingernails. If the loaves sound a bit hollow, they're done. Remove to cooling rack so the loaf bottom does not get soggy. My sourdough starter appears to be done. I'll refrigerate it this evening, in a 2 quart (2 L) non-metal container, with a piece of plastic wrap loosely tied on for a lid. Sourdough starters need breathing room, even in the refrigerator. Some folks use a 2 quart (2 L) canning jar, with a cheesecloth secured with the canning band as a lid. Others use a large canning jar with a piece of plastic wrap loosely secured with either string or a rubber band. You can also just set a lid on top of the container, just don't screw it on. My bowl of starter was again quite full this morning, so I used another 2 cups (475 mL) of it for pancakes. You only need to store about 1-2 cups (240-475 mL) of the starter. The rest you can make into pancakes or waffles, or do an extra batch of bread or breadsticks (just the bread dough shaped into sticks), or give away to a friend. Many sites will tell you to discard starter all throughout the starting week. I'm too frugal to do that, so instead opted to make pancakes a couple of times. I also have enough starter to give to a friend this week, and will have my two-cup portion tucked away in the fridge. If for some reason, your starter failed to get going, check the temp where you were keeping it (should be somewhere between 70 and 85 degrees F (21 and 25 C) -- too hot will kill the sourdough microorganisms, too cool and it will go dormant, but can be revived). Also, is your water heavily chlorinated? Some people report that their heavily chlorinated water inhibits the starter. Did you store or mix in/with anything metallic? It's very important to avoid contact with metal. When you're making something quick like pancakes, it's okay if you stir that batter with a metal spoon. But for a risen bread you'll want to use a wooden spoon and ceramic or glass bowl. Some people store their starter in plastic containers. If you choose to do this, make sure you scald the inside of the container before pouring in the starter. Just swirl around some boiling water, pour out and allow to cool. Plastic surfaces grab on to grease, soap and other things you don't want in your starter. If you can, bake with it once a week. If not, feed it 3/4 cup (180 mL) water and 1 cup flour (110 g), once a week. (If you miss a week, no big deal -- sourdough starters are pretty hearty.) You'll either need to discard some, give some away or use some in pancakes or waffles after one or two weeks, if only feeding it and not baking with it. When you do bake with it, the feeding process is built in. Baking with starter is a two-step process. First, you extend the starter (by adding flour and water), then measure out the right amount for the recipe and refrigerate the rest. Never add anything other than flour and water to the starter that you keep in the fridge. Old-timers would add scraps of prepared dough to their starter. Good way to get sick. If the starter has a gray, green or brown liquid, this is okay, just stir it in. If it develops a pinkish liquid, throw it out -- it's taken on an unwanted bacteria. The night before you bake with your starter, you will need to extend it (otherwise you'd just use it all up, and all that work getting it started would be for naught). Think of this as "growing" your yeast. In a non-metallic bowl, put 1 cup of starter and mix with 2 cups (475 mL) of warm water and 2 1/2 cups (275 g) of flour. Mix thoroughly. 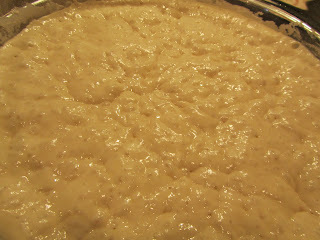 It will be thick and lumpy, but will thin down as it ferments. Cover bowl and set in a warm place overnight. The starter should have become bubbly within a few hours of adding the flour and water. In the morning, measure 2 cups (475 mL) of starter for your recipe, and put the remainder back in your sourdough pot and refrigerate. Your freshened starter is now ready to bake with. You will have enough starter, ready to use, for any recipe or combination of recipes that calls for 2 cups (475 mL) of starter (such as the pancake recipe, which calls for 2 cups). If you just wish to do a regular baking of San Francisco sourdough bread (which only calls for 1 cup of starter), halve the extender recipe -- 1/2 cup (120 mL) starter, mixed with 1 cup (240 mL) warm water and 1 1/4 cups (140 g) flour. Allow to sit overnight, then measure 1 full cup (240 mL) for your recipe and return the remaining starter to the pot to be refrigerated. Your 1 cup (240 mL) of starter for San Francisco sourdough is now ready to use. You will find, over time, that you will either have accumulated too much starter in your fridge pot or too little. The way to remedy with too much is obviously to either give some away or do an extra baking. With too little, just do the half extender recipe, allow to sit overnight in a warm place, and repeat until you have the desired amount of starter. Look for more recipes to use your starter in the coming days. *note* this was very long-winded and extensive. If I failed to make anything clear, please email me. I can clarify for you and update the post, so it will be clear to others. Thanks. That looks delicious. I need to try this. 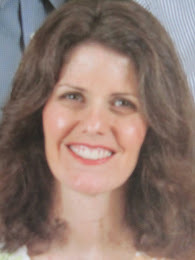 Hi Pamela, It was good! I'm experimenting today with leaving the sponge part of the recipe longer to develop more tang. Next time I'll add some whole wheat to the recipe and see how that does. Yesterday, day 10 of the starter, I finally decided to refrigerate about 2 cups of the starter. Wanted to give it as much time to develop on the counter as possible. Really appreciated this extensive tutorial. I'm going to write it all down and start a starter this afternoon. I tried all this a few years ago but it didn't work out for me - I think I was using too many different resources and using information from here & there. I shall be more organised this time! Good luck with making a starter. Late spring is a good time of year to start one, with warmer ambient temperatures. Let me know how it works for you, and if you come across any trouble. I did have a day or two where the starter just looked flat, as the weather turned cool. So I had to move my starter to an oven with the door cracked open and light left on. Then it revived. I've got a bowl of sourdough starter going for bread this afternoon. Can't wait!